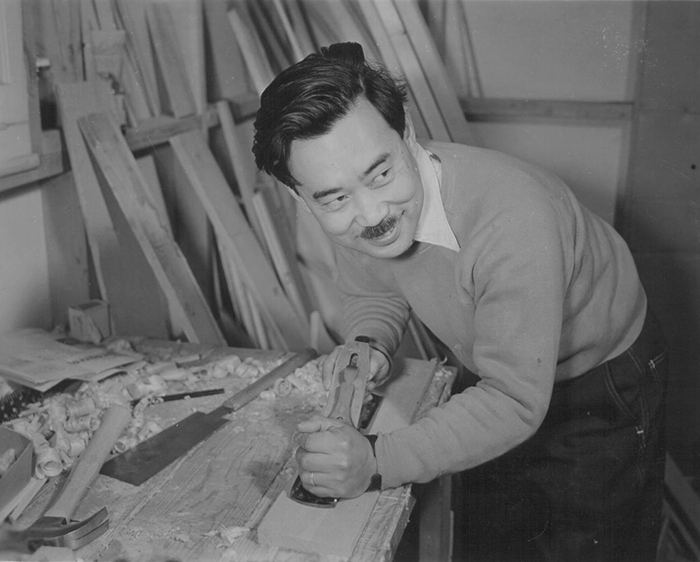 George Nakashima crafting at Camp Minidoka, 1942. Photograph by Francis Stewart. Courtesy of UC Berkley Bancroft Library. 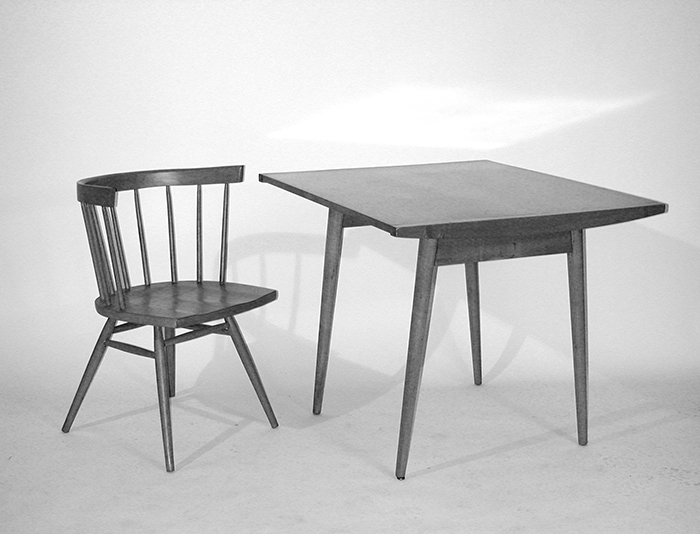 Early George Nakashima designs from a Knoll brochure. Image from the Knoll Archive.